Abe and Jake's Landing is an epic location right on the Kansas River next to downtown Lawrence. We'll have ample parking and ample space INSIDE with a fully stocked and staffed bar. We will have a panel of area professional disc golfers on site. Each of them will give pointers and demonstrate their personal putting styles. But after this quick clinic we'll transition to mingle and practice time. We'll have at least 5 Dynamic Discs portable baskets set up so you can now practice what you learned. The pros will be right there with you to help and and give some 1 on 1 guidance. Kevin Babbit: Kevin started playing disc golf in 1995 and after just two short years was able to take 2nd in the 1997 PDGA Am World Championships. He was sponsored by Innova from 1999 to 2012. He currently lives in Lawrence, KS and is a criminal defense lawyer with the firm of ****an Emert & Davis, L.L.C.. Kevin has 21 career PDGA wins and plays regularly in the Lawrence Disc Golf League. Dixon Jowers: Dixon started playing in the summer 1998 and has never looked back. He was on Team Innova for 5 years before joining Team Dynamic Discs in 2009 where he is currently a member of Team Lucid. 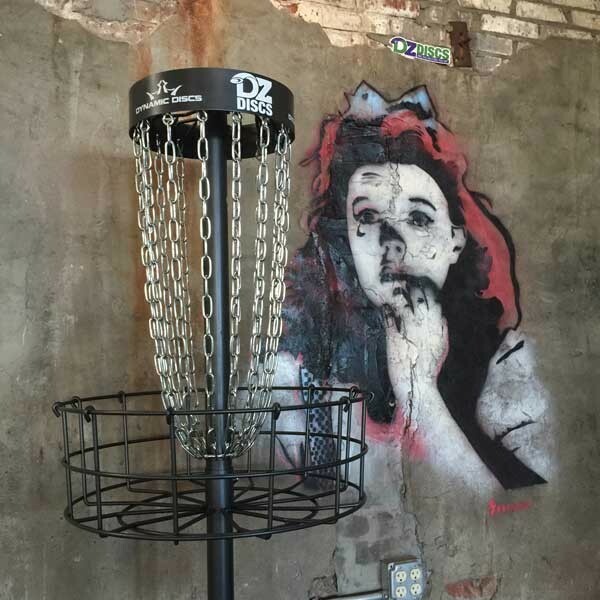 You may also be familiar with Dixon's podcast "On The Box With Dixon Jowers" that focuses specifically on the professional disc golf tournament scene. Dixon hails from Louisiana and Arkansas but currently lives in Emporia, KS. Disc Golf Putting Horse - Wait what? Yes we will be playing horse with putters and chains instead of balls and nets. The same basic rules apply. Call your shot and make it. If the next person misses they get a letter. Horse is great putting practice and you'll end up taking a variety of unique shots instead of just straight on puts from different distances. There will be a legit trophy for 1st place and prizes too! We'll be introducing the 2018 Winter Marksman Putting League that starts in January which will also be held at Abe & Jake's Landing. Bring your kids, parents and significant others. All non-PDGA members will receive a free Grow Disc Golf Putter from Dynamic Discs. All PDGA members will receive a free entry to our practice baskets raffle which will be held at the conclusion of the putting league. Big Thanks to Innova Discs for some sweet swag that we'll be giving away. DZDiscs is responsible for all refunds/cancelations.